With the help of More United, three MPs have met with the Home Secretary who confirmed to them that the Government will no longer have arbitrary targets for migration. With the help of More United, three MPs have decided to put their party differences to one side and find a way of shaping this legislation together in a way that is right for the country. 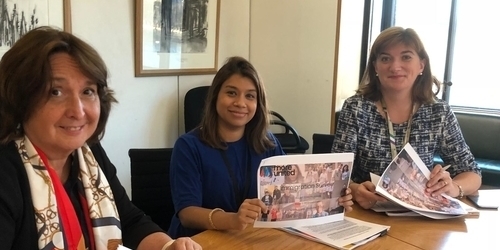 Nicky Morgan (Conservative), Tulip Siddiq (Labour) and Christine Jardine (Liberal Democrat), met with Home Secretary Sajid Javid to discuss the views of 19,000 supporters which took part in our immigration campaign for a fairer system. He confirmed to them that the Government will no longer have arbitrary targets for migration – something thousands of you had suggested. By coming together to tackle one of the most divisive issues in the country these MPs have shown the power of cross party working and the power of More United. “Whilst there are lots of ideas we will disagree on, we all agree that a new immigration policy for Britain should not be xenophobic, should support our economy, and should support our local communities when they experience unusual migration flows. And we are open-minded about how best we can do this. 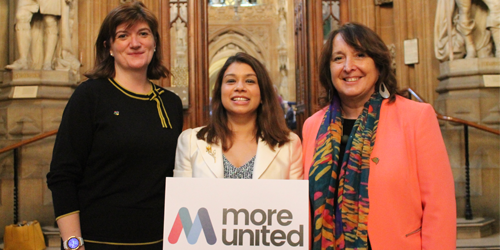 By working with More United, these MPs want to reach beyond the usual suspects – think tanks, research centres and politicians – to create the largest possible pool of people like us who want to work together to tackle the big challenges of the day. With your help, we hope that we can build support across Parliament to build confidence in the immigration system and to help heal divisions. 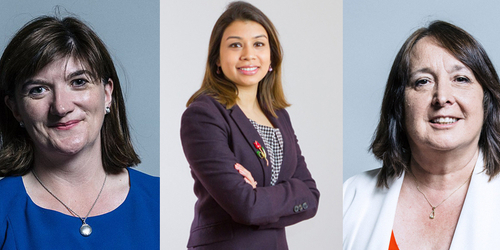 Having listened to what you have to say, Tulip Siddiq (Labour MP) and Christine Jardine (Liberal Democrat MP) have decided that the first thing we’re going to tackle is restoring the Migrant Impact Fund. Join the movement to stay updated on how you can help fix politics. After collecting your views on immigration, 3 MPs met Home Secretary Sajid Javid to discuss the results. He confirmed to them that the Government will no longer have arbitrary targets for migration - something thousands of you had suggested. 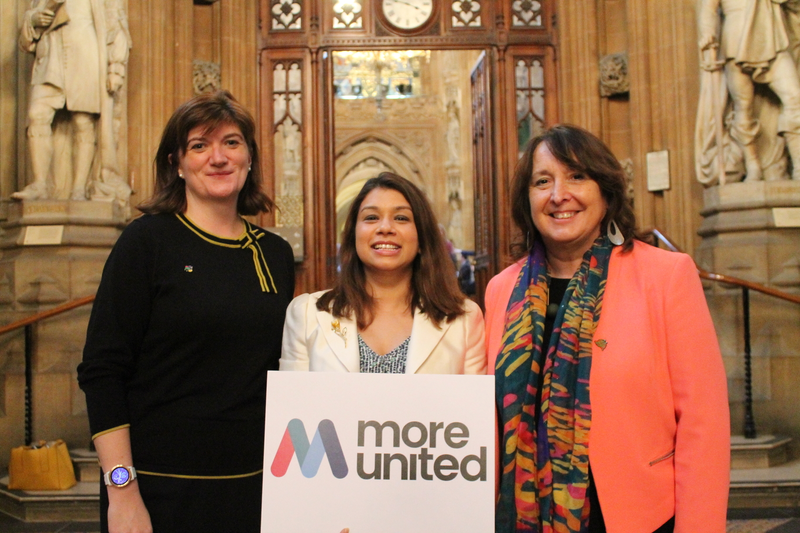 More United connected MPs Nicky Morgan (Conservative), Tulip Siddiq (Labour) and Christine Jardine (Liberal Democrat) to shape the upcoming immigration policy. They asked for supporters' help. 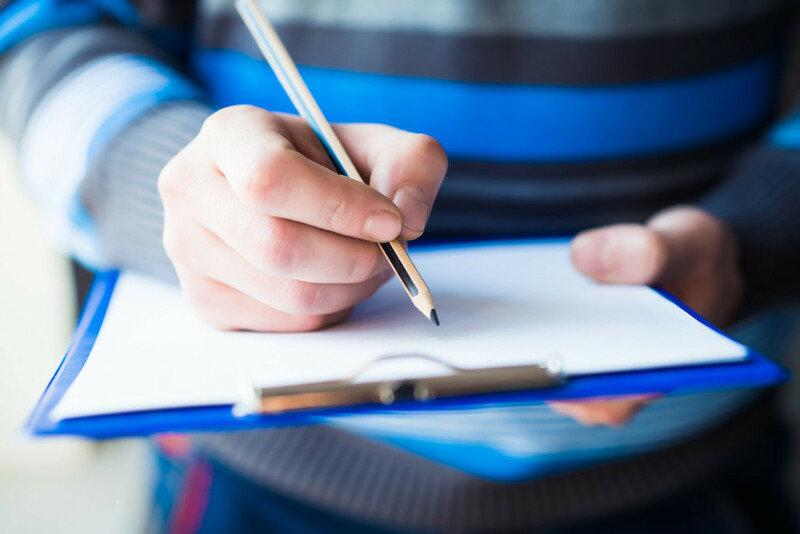 Nicky, Tulip and Christine met to discuss the responses to their immigration survey. They were hugely impressed by the scale and depth of the responses. Nicky, Christine and Tulip asked supporters to share their views on immigration. An overwhelming number of people responded.